A headmaster of a primary school asked us if we had some good maths tasks for the lower grades. (2) design challenging math tasks. But what are criteria for a challenging math task? We refer to Prof. Jo Boaler and use her criteria and add some of our own ideas based on experience with realistic mathematics education (Freudenthal Institute) and other resources. We strongly advocate Inquiry-based learning. Note that we do not write ‘teaching’, we write ‘learning‘, because the goal is not teaching, but learning. More about inquiry-based learning can be found in earlier blogposts: Research on inquiry-based learning and Inquiry-based learning in practice. 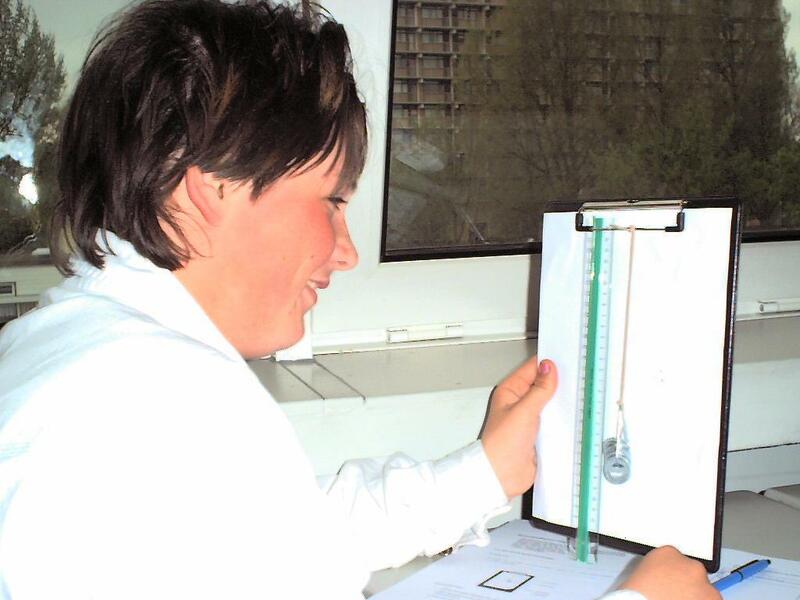 Inquiry-based learning uses more open tasks. Closed tasks with more scaffolding are less exciting and challenging. If students get step-by-step instructions (cooking-book practices), they stop thinking. Challenging maths tasks give students the opportunity to learn, think, explore, discuss, be creative and learn (about) different strategies and respresentations or visualisations in the process. Can you open up the task to encourage multiple methods, pathways and representations? Can up make it into and inquiry task? Can you ask the problem before teaching? Can you add a visual component? Can you make it low floor and high ceiling? Can you add the requirement to convince and reason? A) If you take a simple task from a textbook such as 5 + 7 Ask the students how they came to their answer (before even asking what the answer is). This way you encourage pupils to think about their strategy, to express their strategy in words or visually, to use mathematical vocabulary, to see and learn different strategies from each other. B) Take the simple task 24 x 3 Students have already learned different strategies, such as swop the numbers 3 x 12 which is probably easier for some. Or they have used the strategy to double one number and half the other number 12 x 6. Now ask the students why 24 x 3 is equal to 3 x 24. Can they prove that this is true? They could for example use rectangles on a grid. C) Take a task like 28 : 4 Do not teach the way to check the answer, but first ask: How could you check your answer yourself? D) Take the following task 1/4 x 5 . First offer visualisation and ask: How much is 1/4 of the 5 circles? Or instead of asking for an answer, ask: How could you divide the 5 circles in four? E) Take the topic average. Do not teach the different averages, but let the pupils work on average without specifying what it is. They will have a basic notion of what average is. Let them for example measure their own height and register this for all students in class. Let them come up with the class average. Discuss which ‘average’ they think is best/fairest. F) Take a task about measuring. This task deals already with understanding, namely of units of measurement. We can change the task so that it becomes ‘low floor, high ceiling’ (accessible and challenging for all). Estimate height or length and write this down using a unit of measurement. Measure the objects (except for e). If the students in your group came up with different results, discuss how this may have occured. Try to write the height/length in a different unit of measument. Another task on measurement. Instead og asking What is the circumference of a given rectangle? ask: Draw different rectangles with a circumference of 12 cm. G) See the task Beads on a string from FI-rekenweb. 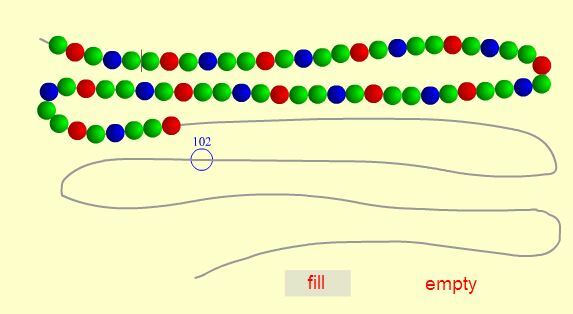 See also the blogpost Early Algebra on Beads on a string. 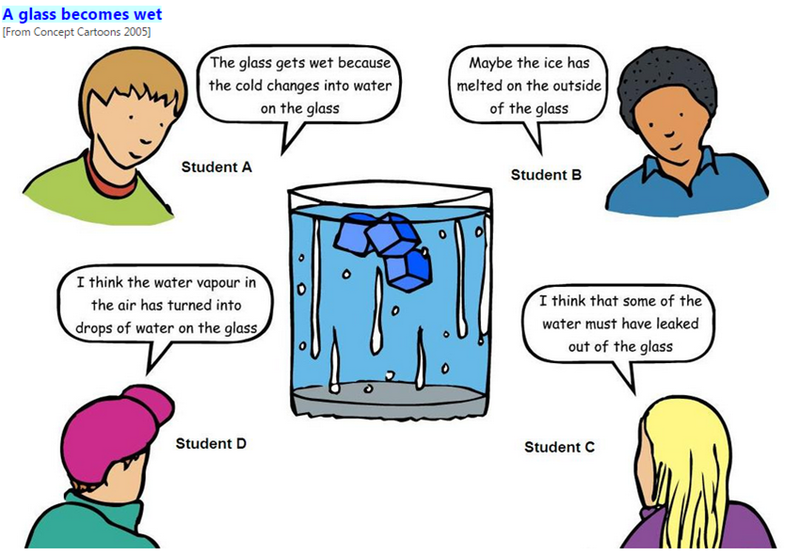 Concept Cartoon is a relatively new approach to teaching, learning and assessment in science. 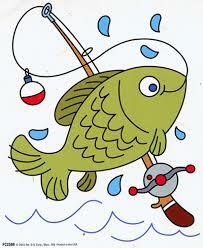 Concept Cartoons were first developed and created by Brenda Keogh and Stuart Naylor in 1991. Concept Cartoons feature cartoon-style drawings showing different characters arguing about an everyday situation. They are designed to intrigue, to provoke to encourage discussion, and to stimulate scientific thinking. The problems or questions posed may not have a single “right answer”. The characters in the Concept Cartoons offer the students a role model they can identify with. This encourages students to choose a character and thus discuss freely. It does not become too personal what the student expresses about the concept. The cartoons can be used with pupils from 6 to 14. 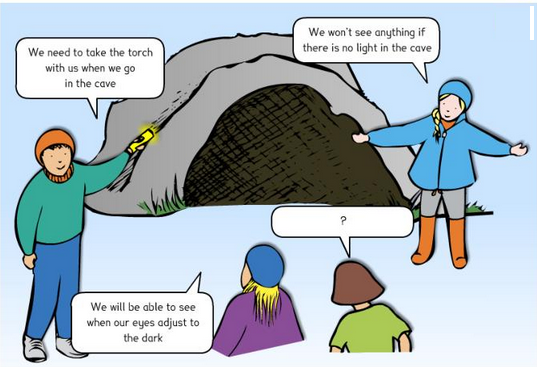 Concept Cartoons can be an introduction to a more practical and hands-on experiment, a summary after experimenting, or just a discussion in class. More on Concept Cartoons-2 and Concept Cartoons_3. KNOTS is the first activitiy within the theme Tall Ships Race. Use the webiste about Knots. We will mainly work will the parts about Basic Knots and Boating Knots. Task 1: Tie some of the knots using the animations on the website Knots. Click on the picture to view how to tie the knot. First try some of the knots from Basic Knots : Square Knot, Sheet Bend, Figure of 8 Knot, Slip Knot. Afterwards try to tie some of the knots from Boating Knots for example: Stopper Knot, Bowline (= the king of knots), Clove Hitch. A good test to check if you master the knot is to tie it blindfolded. Task 2: categorise the different knots from Basic Knots and from Boating Knots making your own groups. That could be several groups and sub-groups. Move your mouse over the picture to see the explanation about when to use this knot. Think for example about what you need to tie the knot. Task 3: If English is not your first language, make a list of the names of the knots in English and the translation in your own language. You can also include the pictures of the knots in the list. Search for a website on knots in your own language. This could be from Scouting in your country. Task 4: Discuss the questions below and write down the answers in a way that you can present them. Why would you use a well-known knot instead of a knot you make yourself? What is the purpose of well-known knots in general? What are the characteristics of a good knot? Task 4b (optional) : Design your own knot. Take into consideration the characteristics of a good knot. Think of the use and purpose of the knot. Ask someone else to test your knot and give feedback. Task 5: Which knots should you use to rig and moor a/the boat? 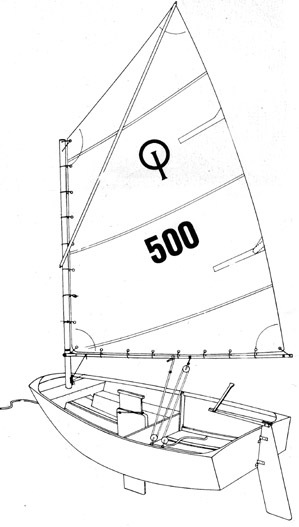 Use a small sailing boat (Optimist, Pirate, Laser or any boat you have access to) or use a model of a boat. Archimedes is a task in a series of Brainpower questions and tasks. See also Brainpower: Milk packaging and Archimedes. This type of questions and tasks require higher order thinking skills, meaning that students have to apply several types of knowledge and skills. Higher order thinking skills involve critical thinking, problem solving, research, argumentation, discussion, evaluation, collaboration, judgement etc. The questions and tasks require brainpower and often several different strategies can lead to the solution. We give you examples that you can use in the classroom. We appreciate your comments which you can write in as a comment. With your comments we are able to improve the tasks and the information about them. Brainpower tasks require a different attitude and behaviour from both teacher and students. As a teacher you guide the students without disclosing answers, strategies or algorithms. You will rather guide the students with questions that encourage them to think in different ways, which help them to discuss further, or to visualise the problem in a creative way. Usually, students work on a task in small groups and for quite a while.